Here, foxsports.com.au takes a look at who is under the most pressure in the second Test against Sri Lanka. THE Ashes may be six months away but the weight of the looming series will rest heavily on the shoulders of Australia's players in the second Test against Sri Lanka, starting Friday. 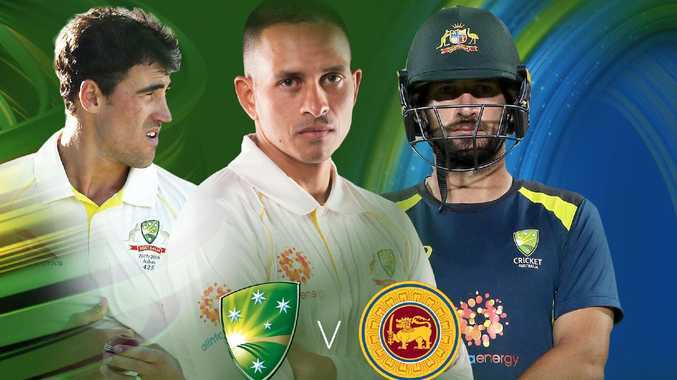 Australia's first series win in any format in almost 12 months will be on the line at Canberra's Manuka Oval, but the Test also serves as the latest chapter of an intriguing selection melodrama that is finally reaching its climax. The story started 10 months ago when gun batsmen Steve Smith and David Warner were suspended for a year for ball-tampering, while Cameron Bancroft received a nine-month ban. It has ebbed and flowed ever since. Marcus Harris' emergence as a talented opener, and Tim Paine as a leader the nation can be proud of, have been the story's highlights. But the tale has also descended into darkness. Just ask Peter Handscomb and the Marsh brothers. Now there is just one match left before two major events on the Australian Test calendar bring to a close the selection rollercoaster. The first is Smith and Warner becoming eligible for selection again on March 29. The second is the Ashes starting August 1. Given Australia's form in their absence, both Smith and Warner are expected to return to the Test side immediately. Whose spots they take remains unclear, but Australia's last five-day match before the Ashes will help decide that. 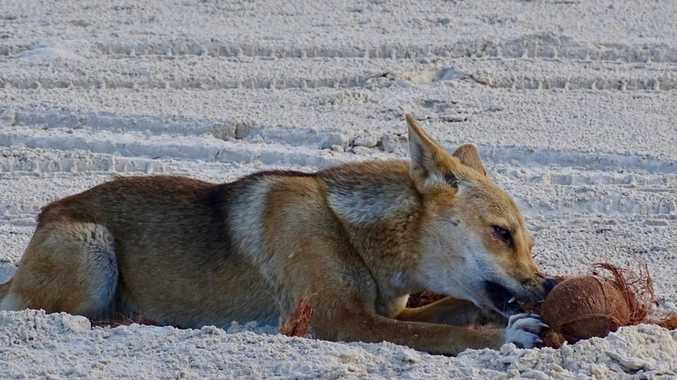 One thing is certain; no batsman is safe. Nor is Mitchell Starc who has fallen out of form this summer and run into fresh talent in the form of Jhye Richardson. Here, we take a look at who is under the most pressure in the second Test against Sri Lanka. 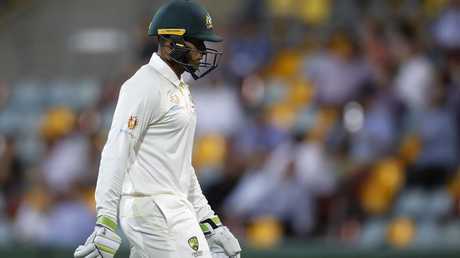 Usman Khawaja is far from the lock he was at the start of the summer. If ever there was a perfect example of how horribly quick you can fall out of form in cricket, it's Khawaja. The left-hander thrust himself forward as the man to lead Australia through to the Ashes after scoring 141 runs off 302 balls to secure the unlikeliest of draws against Pakistan in Dubai in October. His triumph over spin in Asia was considered by many as career-defining and pointed towards a bumper summer for the 32-year-old, who had suddenly become the team's most experienced batsman. In truth, Khawaja hasn't been the same since. He suffered a meniscus tear in his left knee while warming up during the second Test against Pakistan in Abu Dhabi and wasn't free to return to competitive cricket until late November. That gave him just one Sheffield Shield match before the Border-Gavaskar series, in which he underperformed. Khawaja scored 198 runs at 28.28 for the series, passing 35 just once. He has scored just one half-century in his past 10 Test innings. With Smith and Warner's return on the horizon - and rookies Marcus Harris, Marnus Labuschagne and Travis Head strengthening their cases - Khawaja is far from the lock he was at the start of the summer. It’s highly unlikely Mitchell Starc would fall so far out of favour with selectors to not be on the plane to the UK, however, his spot in the final XI is no longer certain. Like Khawaja, it's difficult to fathom how Starc is no longer a certainty in the Australian Test side. For so long has the 29-year-old been a valuable member of one of the world's most formidable pace trios, completed by Pat Cummins and Josh Hazlewood. 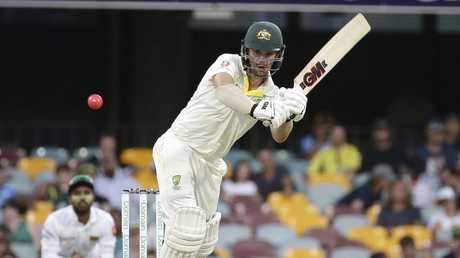 But a lean 2018 that ended with Australia's first ever home Test series loss to an Asian opponent saw Starc go from one of the first names on the teamsheet to the target of axing calls from the likes of Shane Warne and Mark Waugh. 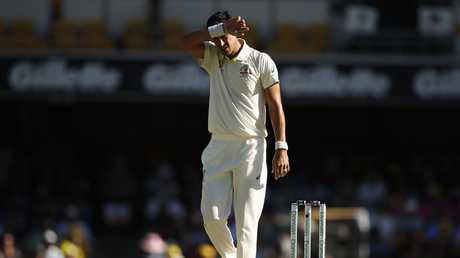 Since last summer's Ashes, Starc has taken 31 wickets at 36.67 - a drastic decline from his overall Test average of 29.11. Making matters worse from a personal perspective has been the emergence of 22-year-old Richardson as a capable replacement. The youngster earned his Test debut against Sri Lanka after Hazlewood pulled out of the series with a back injury. Richardson proceeded to swing the ball - albeit a pink one - further and with more regularity than any other Australian bowler this summer, and took figures of 5-45 for the match. It's highly unlikely Starc would fall so far out of favour with selectors to not be on a plane to the UK, however, a spot in the final XI is no longer certain. 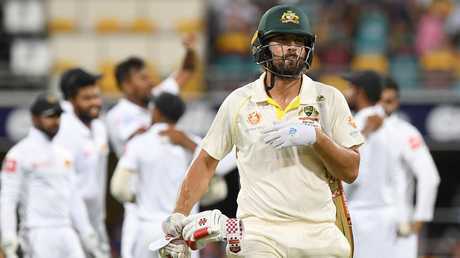 Selectors have given Joe Burns yet another chance at Test level, and time isn’t on his side to make them not regret it. Unlike Starc and Khawaja, the pressure on Burns isn't born out of a long spell of poor form. But selectors have given the Queensland opener yet another chance at Test level, and time isn't on his side to make them not regret it. Burns has fallen in and out of the side over a four-year period, and hasn't played consecutive Tests since two matches against Sri Lanka in July and August 2016. His chances in the side have been fleeting, and with just one match remaining this summer, this time won't be any different. Burns needs a big score, and even that won't guarantee him selection. Working in his favour, however, is the fact coach Justin Langer is craving centuries and no Australian batsman has scored one since Khawaja in Dubai. Burns has three in 15 Tests, and a first-class average (40.42) greater than three of Australia's current top six. But his 15 against Sri Lanka in Brisbane completes a long list of times Burns has failed to make a rare Test opportunity count. He hasn't scored a half-century in his past nine Test innings. Marcus Harris, Travis Head, Marnus Labuschagne and Kurtis Patterson have all impressed to varying extents this summer, but none have locked down a spot in the Test XI. Harris has arguably come closest, averaging 37.75 since his Test debut in December. He's yet to be dismissed for single digits and has displayed class beyond his experience against the new ball. But he's made a habit of not converting his starts into big scores, having been dismissed between 20 and 80 in seven of his nine Test innings. New vice-captain Head has a similar case to answer after passing 10 in each of his eight innings this summer for three half-centuries and no tons. Although, he is responsible for Australia's highest score (84) since Khawaja in Dubai, and is averaging 36.91 in Test cricket. Labuschagne is the only other Australian to pass 80 this summer after scoring 81 at the Gabba against Sri Lanka. He's trending in the right direction as a Test cricketer, facing more balls in each innings than the last and passing 35 in his past three. Then there's New South Wales batsman Patterson who earned his baggy green off the back of consecutive centuries against Sri Lanka in a day-night tour match. He had limited opportunity to impress at the Gabba but did little wrong on his way to 30 on debut. All four have made big strides this summer but have a way to go if they're to justify a position in the same XI as Smith and Warner. News The 14-month-old boy was dragged from his parent's campervan during the attack and was left with a skull fracture and puncture wounds to his head and neck. News Unbeaten side's gun scorer out.